Dan (left) with Andy Griffith (middle). Dan (top right) with Andy Griffith (top left). 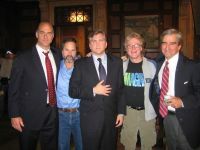 Dan (second from the right) and the rest of the cast. Dan appeared as Pete Peterson. 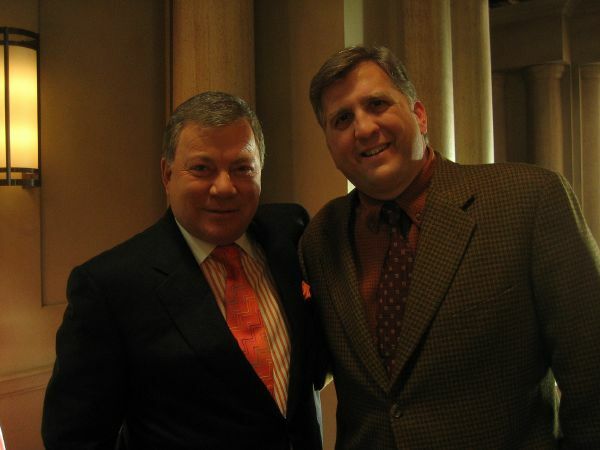 Dan (left) appears as Jaron with Leonard Nimoy (right) as Spock. Dan (right) portrays Butch Beard (2005). 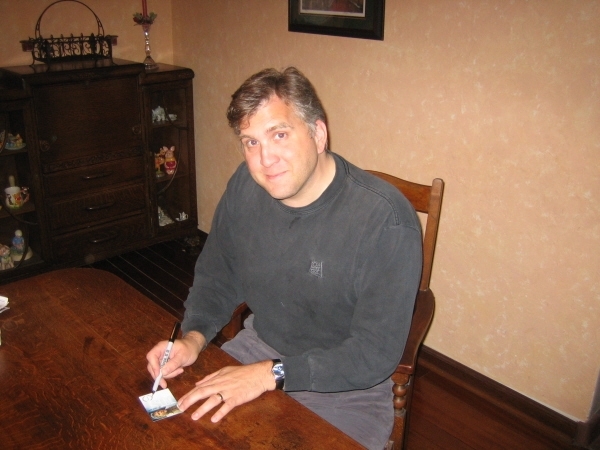 Dan portrays Dr. Leslie Arzt. Dan (right) poses with Daniel Dae Kim (left) as they film the hit ABC television series. 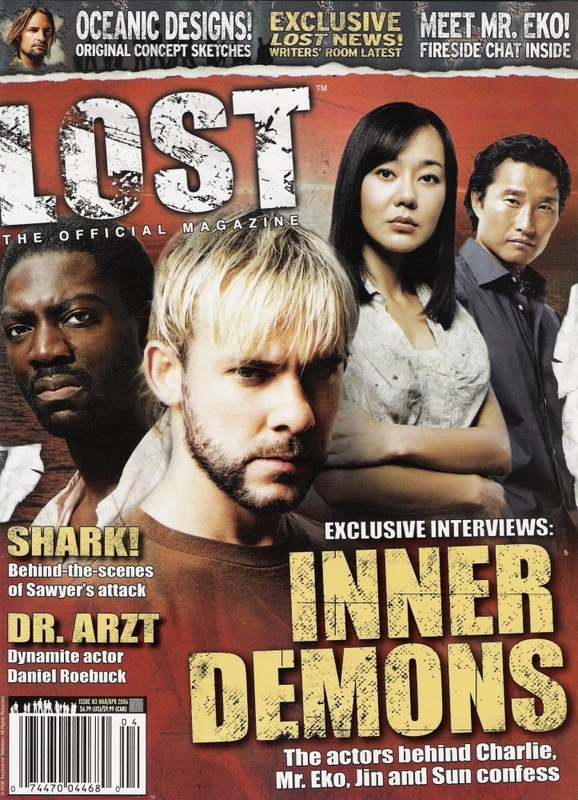 This issue of the Official Lost Magazine contains an interview with Dr. Arzt himself, Dan! 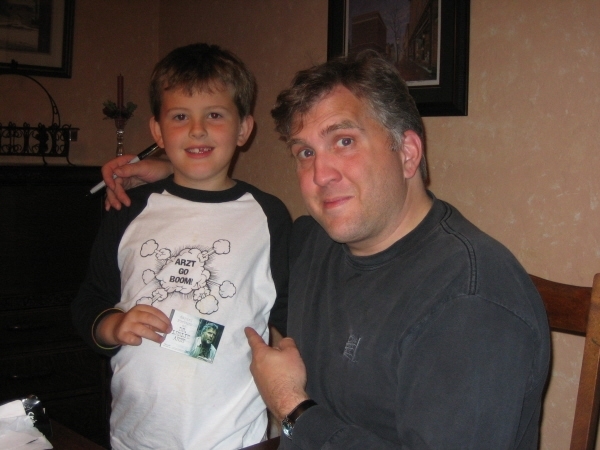 Dan received this amazing doll for Christmas 2005 from his friend (and LOST fan) Jesse Adams. 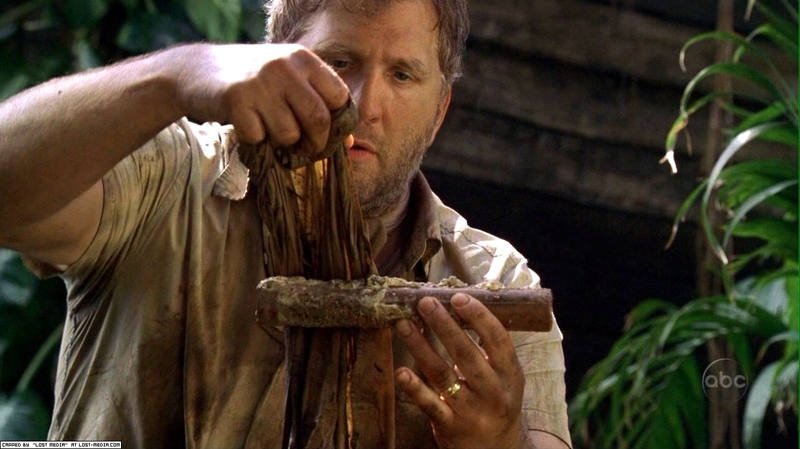 More astounding than even that is the fact that the toy's rear panel features a Doctor Arzt bio written by the writers of LOST specifically for the toy! As you can see it's VERY accurate with amazing props. Another of Dan's lifetime "goals" will be reached with the release of the "LOST: Season One" Premium Trading Cards from Inkworks (PRE-ORDER SHIPPING NOVEMBER 23rd, 2005). Included in the set will be a rare autographed card subset. 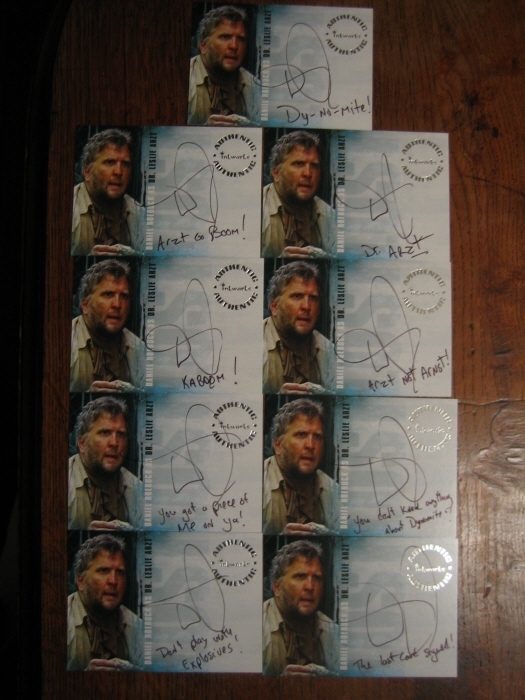 One of these autographed cards will be signed by Daniel Roebuck (Dr. Leslie Arzt) himself! Pictured above you can see , some of the unique slogans Dan added to his cards. Dan and his son Buster (check out Buster's shirt). William Shatner (left) and Dan (right) during the taping of the episode. 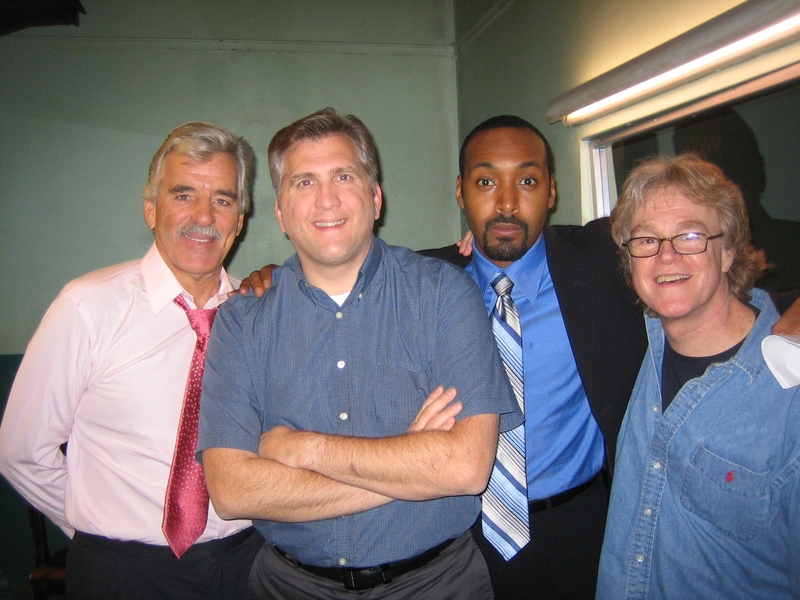 Bob Burns (left), Dean Cain (middle) and Dan (right) pose for a photo on the set. 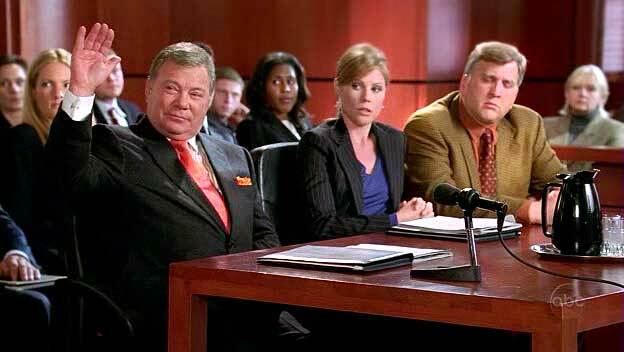 Dan (middle), his wife, Kelly (left) and Ted Danson (right). Pictured from left to right: Erinn Hayes as Pam Dawber, Daniel Roebuck as Garry Marshall, David Josefsberg as Henry Winkler, and Chris Diamantopoulos as Robin Williams.